Today I’m pleased to bring you an interview with Renee Scheltema. 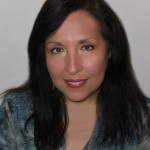 Renee’s film and book are based on her spiritual journey to into the science behind psychic phenomena. I came to write ‘Something unknown is doing we don’t know what’after encountering much of my own curious ‘psychic’ abilities and “sixth sense” experiences. I am a child of the scientific age, where explanations abound for most things, even bizarre things. It intrigued me that I could find a way to understand these certain “psychic” experiences. Furthermore, I was fascinated by western research into the nature of the mind and consciousness. And so I resolved to search more deeply for explanations of psychic phenomena as well. When I was at university in California I would phone my parents in the Netherlands once every three months, just to catch up. This was long before cell phones and the Internet, so I would walk about five blocks to the main campus and throw a quarter in the public telephone booth for a collect call to home. An operator would then connect me to my country of birth. I would always phone around six p.m., as I was sure that my parents would be home. I had spoken to them two days before, so I did not expect to speak to them for months. It happened one morning when I was studying, and absorbed in reading my textbooks, I suddenly I had a powerful compulsion in mind and body to call my parents. “This is crazy!” I thought. “Why am I doing this? I’ve got other things to do. I just spoke to them two days ago.” Yet within minutes, I found myself walking out of my room and down the road, past the five blocks to the public telephone booth. The whole way I thought, “Why am I reluctantly walking here?” The strong impulse kept spurring me. I paid my quarter. The operator connected me and surprisingly my brother answered. This was odd, as he no longer lived at home. He said my father had had a stroke earlier that day and was in the intensive care unit of a hospital, fighting for his life. I felt sure that ‘something’ had communicated to me that there was an emergency and this urged me to make direct contact with my family. Luckily, my father survived. 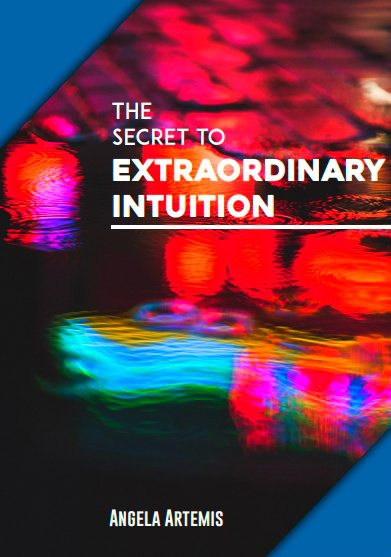 This early experience spurred me to delve into this project along with the deeper telepathic occurrences that then continued between my family and I later on in life…. At the time when I decided to delve into making the film, “Something Unkown” I was working as a photographer and free-lance director for a Dutch TV station. Sometimes I would be on contract to musician clients in the region of the Western Cape outside Cape Town. Throughout the 7 years of pre-film production and completing this project I experienced my many local, international and personal challenges. Documentary filmmaking has been my way of life and career ever since the late 1970s. The television films on which I worked transported me to countries such as: China, Russia, Nepal, Egypt, Israel, Kenya, The Sudan, Peru, Chile, Ecuador, Burma and South Africa, to name a few. I tried to push boundaries with my stories having a strong sense of justice. For example, I filmed in China in 1980, four years after Mao Tse Tung’s death. During the Cold War, I secretly filmed in Russia and interviewed Jewish dissidents during the Olympic games in Moscow. In 1988, I made a documentary in Burma, which was very tricky because of the military junta and the strict monitors they implied on all journalists. During Pinochet’s regime in Chile, I secretly filmed rebel child soldiers for Dutch TV. In the early eighties, I made a film in Nepal for a Dutch NGO about local environmental problems. All of my films were shown on Dutch Television and some were selected for film festivals. 2. What is “the big five?” And why have they been categorized as such? Which of the categories most fascinated you and why? I learnt about “The Big Five” when I went to visit American parapsychology professor Charles Tart in 2006. He referred to “The Big Five” as having strong scientific evidence for five specific kinds of psychic phenomena. (See also www.SomethingUnknown.com). I had read many books on the subject of science, mind and spirit, but had never found anywhere so succinct a statement as from Prof Tart, and from here realised that I had found the focus for my film. Professor Tart told me that several American researchers had worked on the subject for over three decades and they had found scientific proof of the existence of five, main psychic abilities. Psycho-kinesis (mind affecting solid objects without the use of physical force). My view? Yes, there is scientific evidence for these five psychic abilities but I found many lingering mysteries too and my unquenchable thirst for explanations set me off on a journey to discover what I could about these five mysterious abilities. For me, of course, all the subjects fascinated me but the one that I had already experienced personally and that really intrigued me was the mind-to-mind connection or ‘Telepathy’. For me it was so obviously present, this true subconscious energy and power of our mind and inter-personal connections, this wasn’t just coincidence. Healing through the strength of the mind was also something I have always believed strongly in. 3. Can you explain “crisis telepathy” and who experiences it most often and the theory behind why it is so? My first telepathic encounter, with my father’s stroke is actually called, “Crisis Telepathy”. I only discovered years later, that this was not an unusual occurrence between loved ones at times of great crisis. I learned that people who know each other well most commonly experience telepathy and this was my experience too. While living in South Africa, I encountered more communications of this kind with my two daughters, Laura and Lisa. We began to consider these mysterious connections that we shared as “normal”. It often happened that we somehow knew when the other was in need. 4. Can you explain a bit about the “mystical experience” or what Professor Charles Tart calls a “transpersonal experience” where a person experiences “oneness” with the whole of life and the Universe? Does having a transpersonal experience change a person? How? A “transpersonal experience “ is definitely life changing. A few seconds of a transpersonal experience can change the direction of a person’s life, while years of ordinary experiences may have no effect at all. Someone who had just such an experience, and whose life took on a totally new direction thereafter, was Dr Edgar Mitchell, an aeronautical engineer and a world-famous American astronaut who subsequently went on to found IONS after his own transpersonal experience. Tart taught me that a transpersonal experience is like an epiphany; where a person experiences being part of something much bigger than just their ordinary biological and social self. So, if someone feels as though they have contacted God or been ‘at one’ with the universe or unified with nature, or something like that, and it’s a real feeling – not just an idea – that’s what we mean by a ‘transpersonal’ experience. 5. What did you learn that surprised you most while interviewing or researching for the film/book? It was such a great journey to meet these eloquent, friendly and intelligent people in the US, who had dedicated their lives to finding scientific evidence for the paranormal. In the future para-normal will be normal as we’ve always used our sixth sense to survive in the wilderness, and their value is in the opening of our eyes to a deeper meaning of life. 6. Have there been any new developments in the research or any conclusions reached about a theory for psi since you published the book/finished the film? I occasionally read that new discoveries have been made providing evidence for the existenceof psi. I can also see that many more people have and are delving into the science behind it since the evidence is undeniably real. Of course as world population increases and our natural resources run increasingly scarce, interconnected consciousness, spirituality and psychic abilities grow stronger in times of crisis. 7. What, if any, is the value of psi research to society overall? A better understanding and knowledge of psi research allows for a more connected society, it broadens knowledge in the sense of ‘interconnecting’ human beings as a whole. I have found that the topic of paranormal psychology is becoming more popular in itself as personal conscious awareness becomes more pronounced and as the shift in mind-set in individuals becomes a clear direction for overall change. 8. Will there be a sequel to the film/book? And, what are you working on now? There won’t be a sequel to this exact subject per say but I am currently busy with a new documentary (and/or series). A topic also based on mind power and if you understand this film and book and have the open-minded approach to the topic then this one too links with understanding the importance of personal transcend and initiates . I can’t say too much about my next documentary yet. It needs to stay a mystery until it has been completed. Do you have a question for Renee or a psychic or transpersonal experience of your own? Please share it with us in the comments. Which of the “big five” categories does your psychic experience fall under? If you enjoyed this article help spread the word about Renee! Share it with a friend on Twitter, FB & Google+. Thank you. P.S. 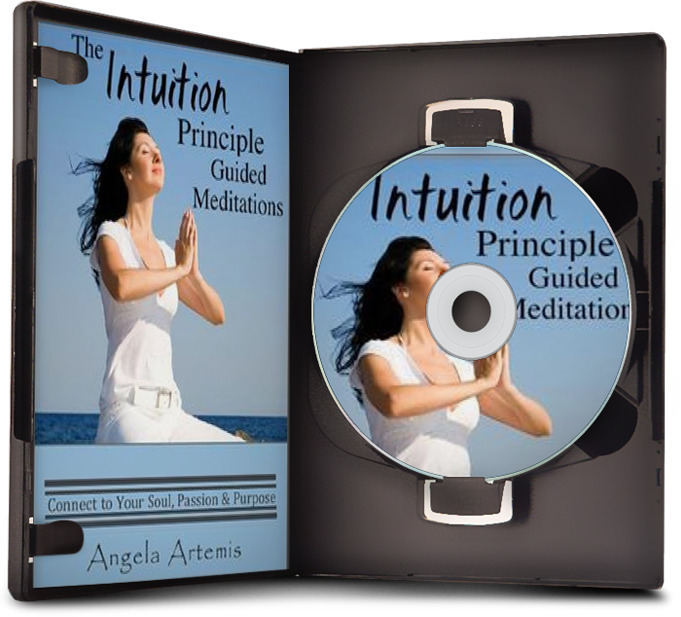 Develop your own psychic and intuitive abilities – click here. Renée Scheltema (1951) is a Dutch documentary filmmaker and photographer. After her Drs. degree in Criminology in 1974, she went to the University of California in Berkeley ( M.A. School of Journalism ). Her main subjects were TV-Journalism and Photo-Journalism. For 25 years Renée has worked for Dutch television as a director, producer and camera-person. Some of her documentaries were commissioned by NGO’s. Others were freelance like “Hush”, a portrait of artist Tracy Payne; “Seven Days in Burma”, “The Death Penalty”, “Portrait of a Zen couple”, “The Bus”and selected at international filmfestivals. Her latest documentary feature on science and spirituality called “Something Unknown is doing we don’t know what” (www.SomethingUnknown.com) has been the official selection at eleven film festivals around the world, and won the Special Jury Award at the Arizona Int. Film Fest. And was the first Runner Up of the 2010 COVR Visionary Award. The book Something Unknown is now available as well. Renée is currently working on a feature documentary about the environment. As a photographer, Renée has been working for magazines and newspapers in Holland, the US, and South Africa. She was a member of Gamma Liaison in New York (now called Getty Images). Renée lives in Cape Town, South Africa. I’m not quite convinced, but this is very interesting nonetheless. Thank you for introducing Renee’s work to me. I ordered the DVD. Just today I had the most amazing experience, new to me. I sat at my desk for 5 minutes and focused on a teen I learned of suffering this moment from excruciating postoperative pain at a local children’s hospital preventing her from sleep despite heroic efforts by staff. I asked for whoever I envision as my spirit guides to connect to any source of healing for her. I envisioned her being surrounded by light and relaxation. Immediately my right leg began tingling intensely shooting up to my hip (and I developed right hip pain that hasn’t left the past hour). I then read further about her story and learned it was her right leg that was operated on, with a large piece of bone removed. I am new to relying on “spirit guides” but the few times I have, the results have been amazing! I do hope this young woman is comforted in some way today. If you have any advice on what has worked for you to help others going through “health crises” from a distance, I would love to hear it. Thanks Angela! You definitely connected to this young girl. When we connect – we feel the pain and feeling of the other person because in truth as you know – we are all one organism. We only “appear” to be separate. I would protect yourself with white light before you do anymore healing and ask for the highest good in this situation to be accomplished. I would also advise you to thank the Universe/Spirit Guides for showing you where the young girl’s pain is located – and then tell them you “got it” and to remove the pain. You don’t want to stay linked to that for too long. You are a very empathetic person Erin. I think you could become a wonderful healer if that is what you feel called to do. Sending unconditional love, asking for God or whomever you believe to be the “higher power” in the Universe to channel healing energy through you to the person you’re trying to help is the normal protocol for distance healing. Some people also visualize the person as healed and healthy too. Holding a picture of their “true nature” which is to be “whole and complete” is also a method used for distance healing. There are so many great books you can read on this topic…..Barbara Brennan’s book, “Hands of Light” is a classic and I can’t recommend it highly enough. This was a fascinating interview. Thank you for sharing it with us. I’m so glad you found this fascinating. Me too! Sounds interesting! I would like to see the film. You will enjoy the film – do get it! Let me know how you like after seeing it too. This is so fascinating! I really enjoy this subject, and I grabbed a copy of the book! I can’t wait to dive in. I was wondering if there is evidence that suggests that on a global level the average individual is developing a better ability to utilize these abilities than, say, 50 years ago, or if we are not really “evolving” in this manner. I’m so glad you enjoyed the interview with Renee. Many people have written that we have entered into the Age of Intuition at this time Victor. Our society is opening up to the fact that intuitive intelligence is a valid form of gathering information. There are many studies being done on consciousness at this time but whether they are focusing on how much more intuitive we are all becoming or not, I don’t know. I think we are opening up to what we have always been. I also think that due to the splintering effect of cable television and the Internet those who are interested in this topic will find information more readily than in the past. A fascinating read Renee and Angela. Now I have a name for an experience I had during my late husband’s illness, it was a transpersonal experience. Wow. Thank you Angela for introducing Renee and her work. I’m glad you found this article fascinating. The transpersonal experience is what I had been referring to as a “mystical experience” for lack of a better name. Glad to have a name now – as I see you are as well. I’m happy to have introduced you to Renee. 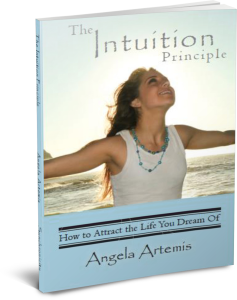 I hope you downloaded her book while it is still free on Amazon. I don’t know where to begin. Angela, thanks so much for bringing Renee to my attention. Renee, your background is fascinating – how rich and meaningful. The story of feeling compelled to call your father is strong proof about what’s really going on. I’m so glad you enjoyed this interview with Renee. She does have a fascinating background. The ‘transformational experience’ or what I call the mystical experience is a moment of perfection. Too bad we cannot experience it more often. I hope you enjoy Renee’s book.